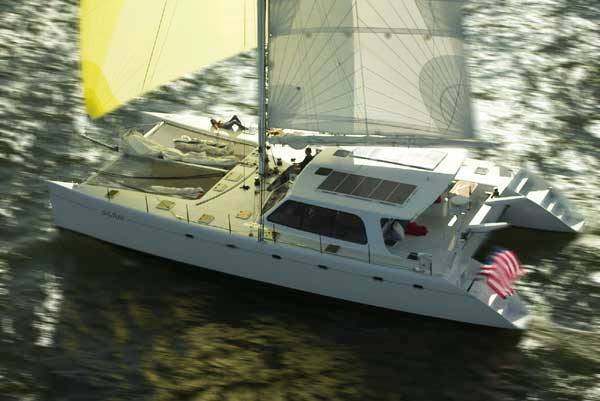 Luxury sailing catamaran Safari is a large stylish and elegant 62ft catamaran offering luxury crewed charters in the Caribbean and Mediterranean. Morrelli and Melvin, the designers of Playstation, designed Safari’s unique lines. 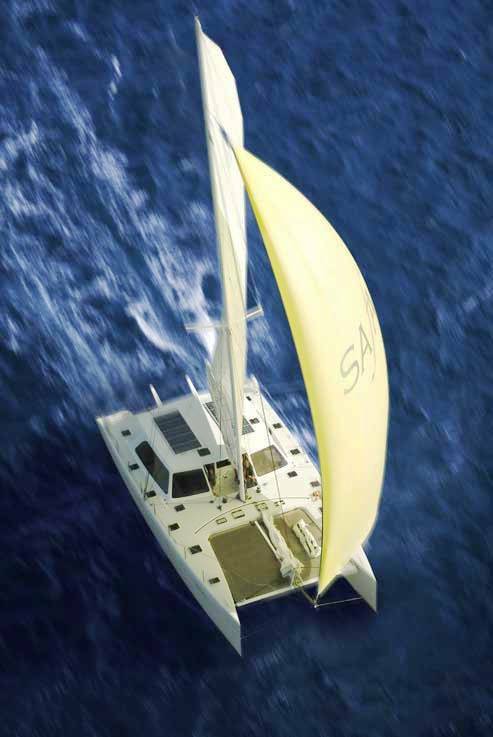 Her high strength composite hull, carbon spars, Aramid rigging and North computer designed sails allow Safari to thrive in any conditions. 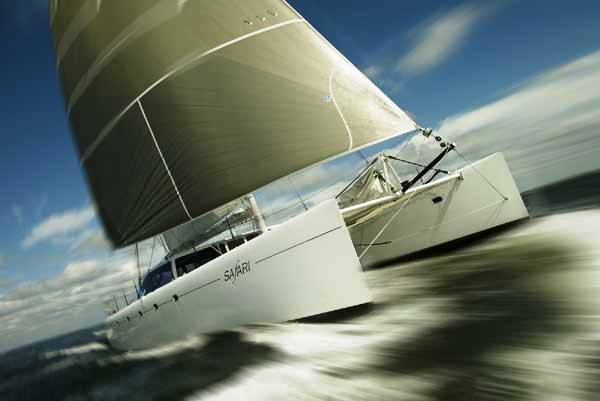 She is so quick that in 20 knots of true wind, she can sail 22 knots of boat speed. 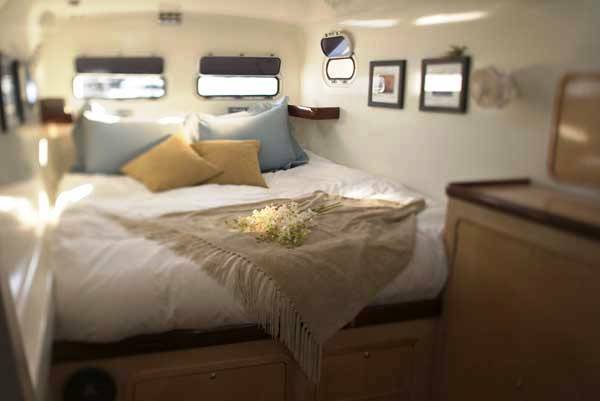 Safari combines outstanding sailing ability and luxurious accommodations - with her 62 feet of length and nearly 30 feet of beam, Safari is the size of a doubles tennis court. 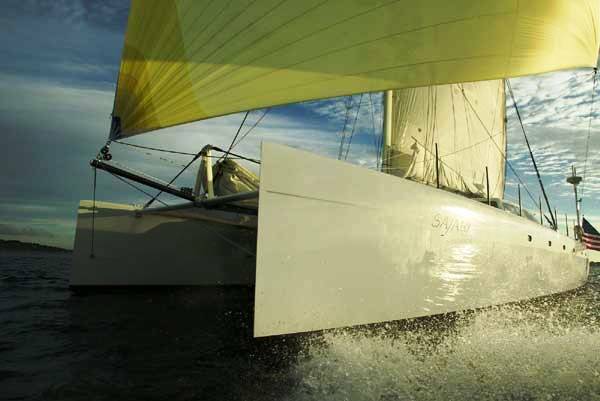 Yet she is as agile, rides high, points high and self tacks in the narrowest of channels, and can anchor in as little as twenty inches of water. Safari also has a massive solar power capability so the sound of a generator is refreshingly absent. Safari has a unique layout affording unprecedented visibility and protection from the elements. 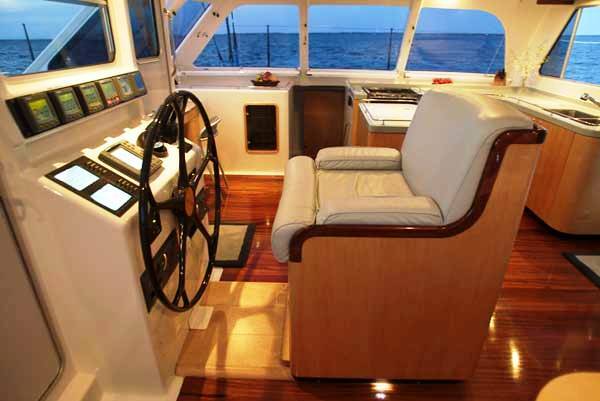 She has a forward cockpit layout which is ideal for keeping the action of sailing separate from relaxation of a cocktail, good book or simply taking in the stunning views. The shade offered by her large main salon and extended roof line keep you protected from the sun, while there is plenty of deck space for the sun lovers to enjoy. 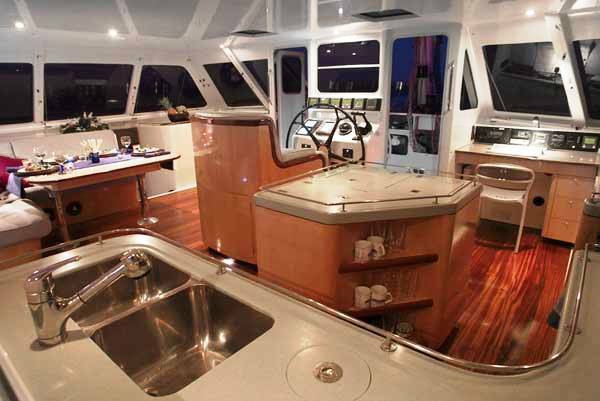 Her interior sports African Sapele soles with maple cabinetry. 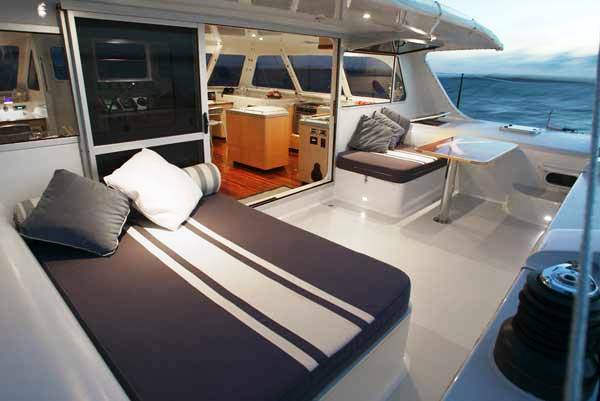 Chrome rails and fixtures highlight the surfaces and her luxurious Ultrasuede and Ultraleather cushions, are finished in colors that soothe the senses. Safari has an experienced crew of two that are ready to welcome you on board for an unbeatable Mediterranean or Caribbean sailing experience! 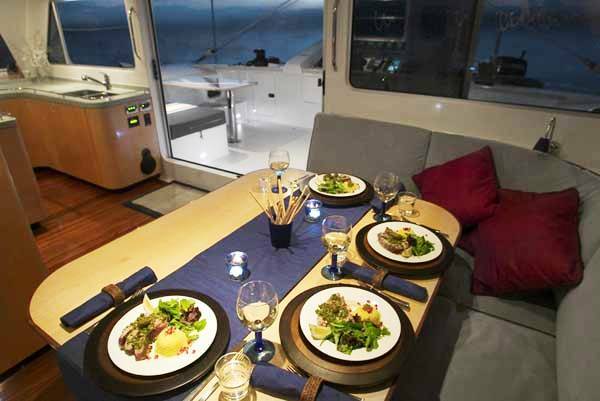 Luxury sailing catamaran Safari offers accommodation in 3 large private cabins with queen berths. 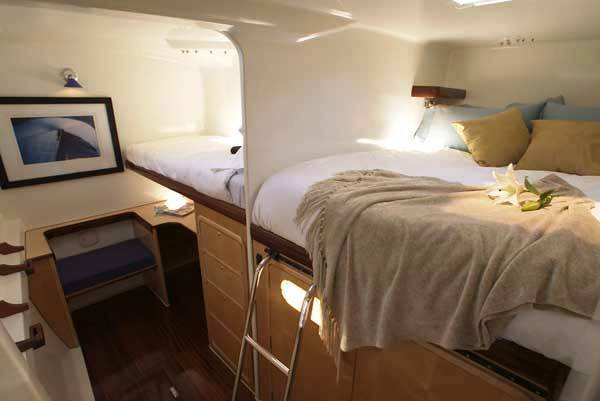 One of these cabins also has a full size single berth. One cabin has a child's berth. 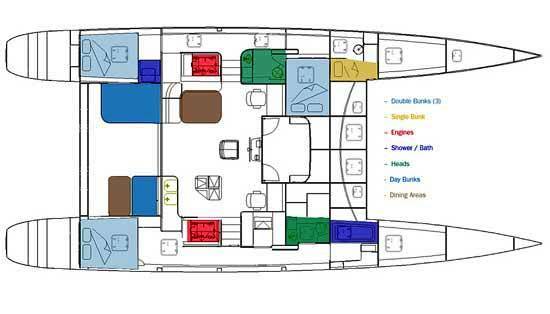 The recommended maximum number of guests on board for a comfortable cruise is 6 Adults + 2 children. 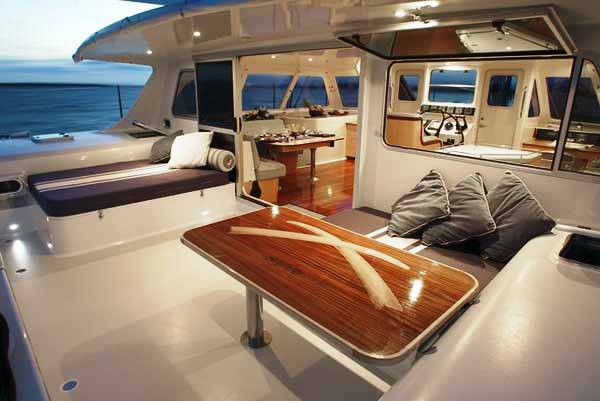 Because she is Solar powered, there is no generator noise ensuring a great night’s sleep! Safari has the following Tenders & Toys and Amenities: Tender Type: Catamaran 15ft 25hp, Kneeboard, wakeboard, wake tub, inflatable Kayak, Wide Screen TV, DVD, MP3 surround sound, High speed WiFi Antenna, and Sat Phone.